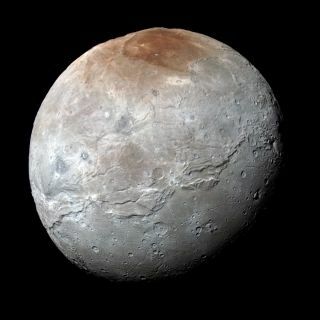 NASA's New Horizons spacecraft obtained this high-resolution enhanced color view of Pluto's moon Charon just before the closest approach on July 14, 2015. There's water on Mars, a resupply spaceship at the International Space Station, a science-heavy survival novel on the big screen and something moving inside Saturn. These are our best space stories of the week. Ridley Scott talks "The Martian"
I read the book, should I watch the movie?